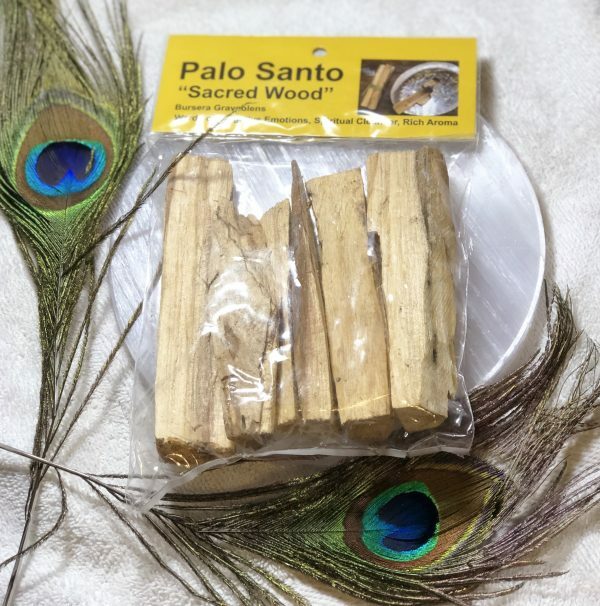 Palo santo is a type of wood that comes from the tree of the same name. It is indigenous to South America, and its name means “holy wood” thanks to the many healing and spiritual properties it carries. ~ Energetic protection and the removal of negativity. When used for smudging or burning, palo santo can eliminate negative energy, creating a calmer, more tranquil space. Set an intention about what you want to clear out of your space, then move from corner to corner, removing any bad energy, uplifting your spirit, and filling your home with good fortune. ~ Inspiring creativity and bringing love and good fortune. Burn palo santo sticks for smudging will welcome creativity, love, and good fortune into your space. The wood can help brighten energy and promote feelings of positivity and joy. The scent is also shown to reduce stress and anxiety, and enhance clarity and concentration. ~ Bringing a deeper connection to the divine source. This amazing scent is the perfect partner for meditating. Palo Santos is believed to raise your vibration, and discover peace and groundedness as you sink into a deeper connection to the Earth and your inner consciousness.